What have been your three most recent jobs? Are you concerned about gun violence close to home? What is your favorite autumn hike? What documentary would you recommend? Where would you evacuate to, if you had to? Where are you going to see the total solar eclipse? 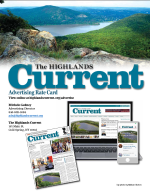 What business or service would you like to see come to the Highlands? When did you move to the Highlands, and why?